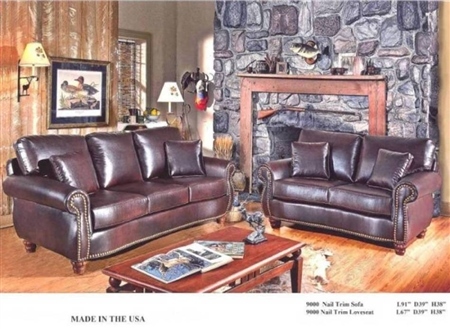 The rich chocolate brown Sofa and Loveseat has luxurious style making a statement in any room. The Sofa features large S shaped rolled arms with nail-head trim that runs along the arms and base. The Sofa and Loveseat is versatile working well in a formal setting or standing out with other casual furniture. Pair the Sofa with the Loveseat for a grand sitting area.